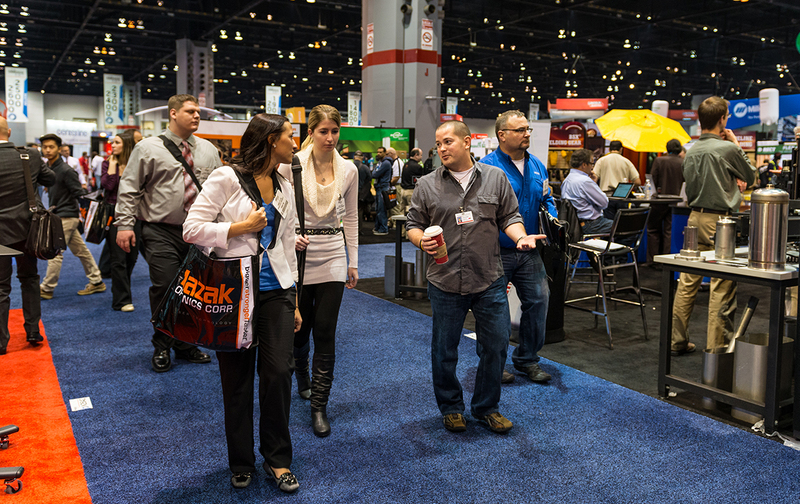 Whether you call it show services, show book fulfillment, exhibitor manual, exhibitor service orders, or something else, the bottom line is it’s the most crucial part of executing your presence successfully on the show floor. TradeTec can coordinate all of your show book activity to help you avoid costly errors, missed deadlines, and expedited charges. Let us relieve you of the stress and anxiety that can come with coordination of show services. We often see companies try to do this on their own and end up with various surcharges due to missed deadlines. Because of our experience with this complex process, we can guarantee meeting all the deadlines and we hold the financial responsibility to do so. Frankly, there are fewer errors when we handle show services on behalf of our clients. We are industry experts, we know your booth, and we know how to get it right. We designed it and we can make sure it’s executed properly. As we know time is money and making corrections on the show floor is very costly. WE COORDINATE ALL THIS AND MORE! We take away the guesswork and organize the event for you. From drayage, electrical, and cleaning, to carpet and furniture rental, TradeTec takes care of everything so you can deal with leads instead of logistics.